There have been many eccentric and macabre British executioners over the years. Jack Ketch, who performed his duties during the tumultuous 1680s, was notoriously clumsy. During the beheading of Lord Russell in 1683, it took several hacks with Ketch's axe to finally sever the head from the body. Ketch said that he was interrupted while taking aim. In 1685, the Duke of Monmouth, just before his execution, told Ketch that he knew all about his clumsiness with the axe and what happened with poor Lord Russell, so could he be a bit quicker lopping off his head? But this did not stop Ketch's clumsiness - the unfortunate Monmouth had to endure five hacks with the axe before Ketch finally had to use a knife to sever Monmouth's head from his shoulders. In more recent times, Albert Pierrepoint, Britain's most famous 20th century executioner, was very quick at executing a condemned felon. On several occasions, he took a condemned man or woman from their cell to the scaffold and had them hanged in the space of just 8-10 seconds. In the late 1940s, he even managed to hang up to 30 felons on one day. He always tried to be perfectly dressed for the occasion. His moustache was freshly clipped and his hair was brushed back neatly into a parting. The finishing touch was his trademark bow tie - plain, black, and tied by hand of course. This was how Harry Allen liked to go to work. It was the last image his customers would see before he sent them to their deaths. In a 23-year career, Mr Allen manned the gallows at a succession of British prisons to dispatch murderers, criminals and Nazi prisoners of war, first as an assistant and later as chief executioner. He earned a unique place in history as the last hangman in Britain before capital punishment was abolished in 1965. His 'culprits', as he called them came and went. 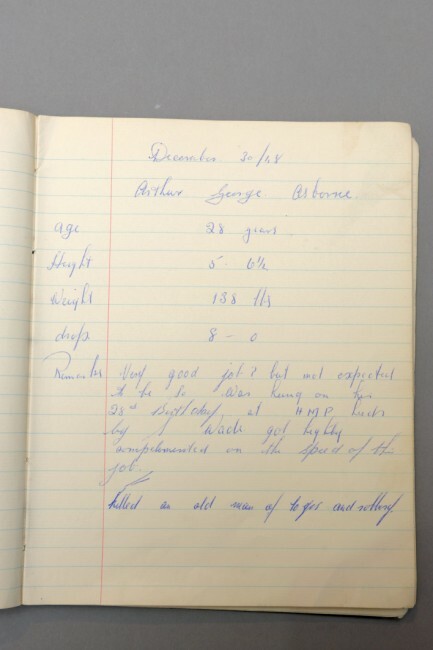 But each was recorded forever in a matter-of-fact diary he kept in his perfect handwriting - a macabre record of the prisoner's age, weight and height, plus a calculation to determine the optimum length of rope needed to ensure a swift death. 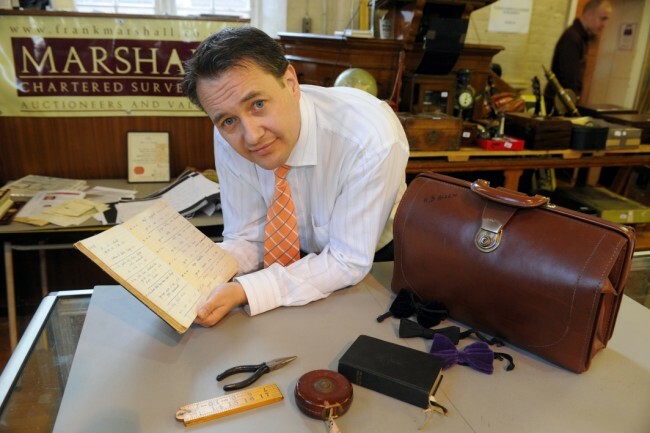 Now the journal - which paints a fascinating picture of a man who clearly took pride in his work - is being put up for sale. It will be auctioned with some of the tools of his trade, including a 25ft tape measure, a pair of pliers... and two of his black bow ties. After another he spoke of 'a very good, clean job'. Mr Allen - whose grand-daughter is TV actress Fiona Allen, who appeared as Julia Stone in Coronation Street and married Michael Parkinson's son - always dreamed of becoming a hangman. As a schoolboy he was captivated by newspaper reports of the sensational trial of Edith Thompson, hanged in 1923 for the murder of her husband. Sixteen years later, after a series of other jobs, he fulfilled his wish. He applied for a job at Manchester prison and was given a week's training to become an assistant executioner. Between 1941 and 1964 he officiated at 53 executions as assistant and 29 as chief hangman. 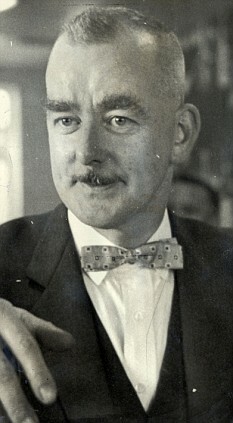 Among his most controversial cases was that of James Hanratty, hanged in 1962 at Bedford prison for the A6 murder case despite urgent attempts to clear his name; and as assistant in the 1953 execution of Derek Bentley, convicted of murdering a police officer but pardoned posthumously 46 years later. He also acted at several other landmark executions. 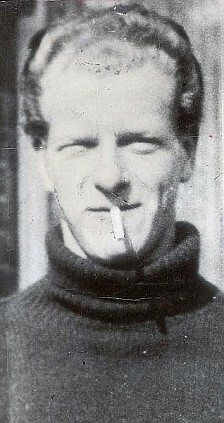 Allen performed the last execution in Northern Ireland when he hanged Robert McGladdery in Crumlin Road Prison, Belfast in December 1961. Two years later he carried out the last hanging in Scotland, when Henry Burnett was executed in Aberdeen for the murder of Thomas Guyan. 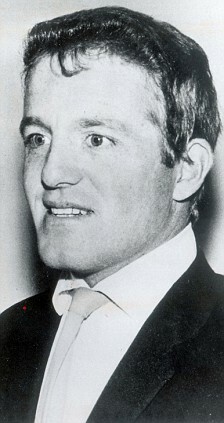 He also performed one of the two final executions in Britain, when at 8am on 13 August 1964 Gwynne Owen Evans was hanged at Strangeways Prison in Manchester for the murder of John Alan West. It was done simultaneously with the execution of Evans' accomplice Peter Anthony Allen, who was hanged at Walton Prison in Liverpool by Robert Leslie Stewart. 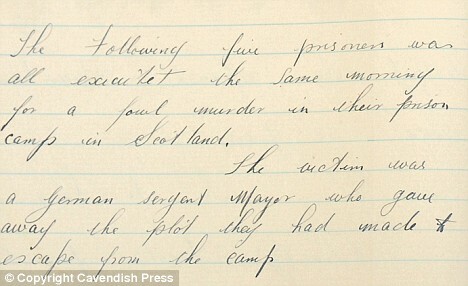 In his diary Allen told how he was 29 when he witnessed his first execution on November 26, 1940 at Bedford prison. William Cooper, 24, had been convicted at Cambridge of murdering John Harrison, an elderly farmer. The execution was, according to Allen, a 'very good, clean job' despite Cooper's 'loss of courage'. 'The culprit had to be carried to the scaffold oweing to his faintness,' Mr Allen wrote. Others met their maker with a smile. Allen noted that Clifford Holmes seemed 'very cheerful' moments before he was hanged at Strangeways on February 11, 1941. The 24-year-old soldier had murdered his wife, Irene, for having an affair while he was away in the Army. And for some death came quickly. Walter Cross, 21, who had murdered a 55-year-old man in Barking, Essex, was dead within six seconds. But 22-year-old Peter Griffiths, who had raped and murdered a three-year-old girl whom he had snatched from her cot at the Queen's Park Hospital, Blackburn, was still alive 30 seconds after the trap door opened. In 1945 Allen recorded how he executed five Nazis prisoners of war for murdering a fellow German soldier. The five killed the Sergeant Major for informing the Allies of their plan to escape from their camp in Scotland. 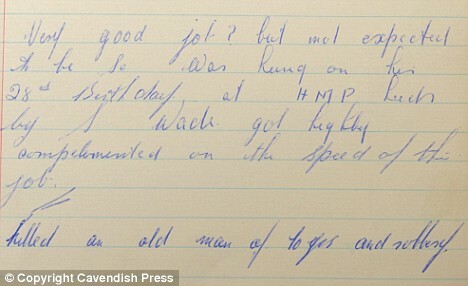 Erich Koening, 21, was the first to make the journey from the cells to the gallows at Pentonville Prison on October 6. 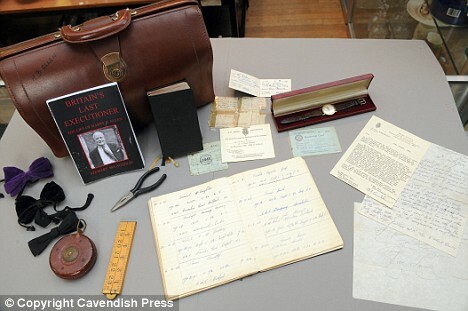 Allen, then an assistant executioner, recorded in his diary: 'His last words were spoken in German. ''Long Live the Fatherland''. This man was in my opinion the leader of this gang of prisoners and a definite Nazi." 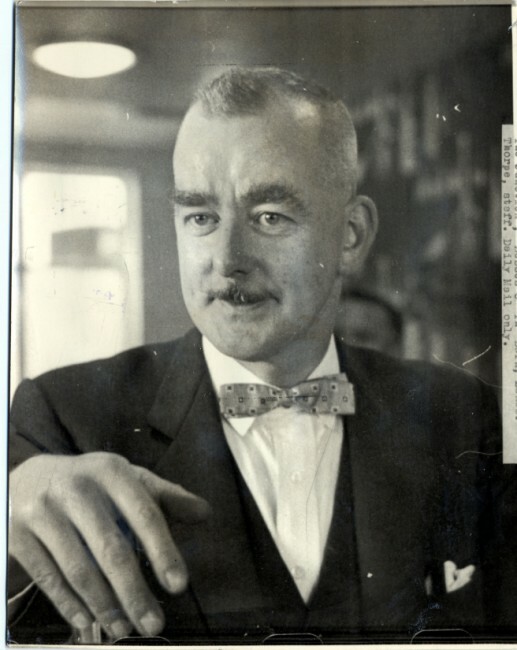 Mr Allen, whose son Brian is said to have discovered his father was an executioner only when he was 18, died in 1992. 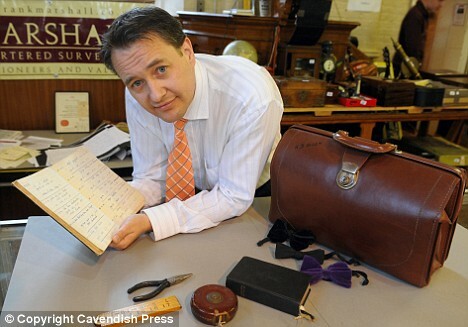 His widow Doris is selling the diary and other items through Marshall's auctioneers at a November 11 sale in Knutsford, Cheshire. A biography of Harry Allen, 'Britain's last Hangman' has been written by a former Wandsworth prison officer and is being published this month.